If you are looking for the best Christian preschool curriculum, you may be a Christian school teacher or a parent looking to homeschool. Either way, you need to choose the best Bible-based program for your situation. There are many options available for Christian curriculum programs, but how do you know which one will be right for you? Centered around Christian principles – While this may seem obvious, there are a few curriculum programs out there that seem to only throw a few words or verses in here or there and claim to be "Christian." Based on current child development research – I have also come across, unfortunately, several programs that are wonderfully biblically-based, but lack appropriate teaching methods. I am looking for the best of both worlds. Practical to implement – Who wants to spend 3 hours every night getting ready for the next day? Curriculum programs that lay everything out for me while at the same time giving me flexibility, are the best combinations. Provide support and training – We all need help sometimes! Appealing to children – No teachers or students want to spend day after day of doing monotonous activities. Every good Christian preschool curriculum will have elements of fun built right in. Based on these criteria, there are a few Christian preschool curriculum programs that I feel confident to recommend. "I have not only homeschooled but I have also been in the classroom - K4, 1st, 3rd, 5th and Jr. High. You are absolutely right when you say there are MANY options...but to only put a select few seems a little biased in my opinion. I have taught from Veritas press, Bob Jones and A Beka and you make NO mention of these 3 VERY popular and well established curricula. The reason is more than you haven't used it in the classroom...your own website says "they need to meet a certain criteria" to be on your site. This is dissappointing as I was hoping to see an unbais site - guess not. The appropriate way to state your position is to be up front and clear with your audience." I do apologize for not being more clear on the criteria. There are hundreds of Christian curricula to choose from. I am not a curriculum review website but, rather, a teacher and parent who has experience with many programs. I should have stated (and have changed the comment to reflect) that one of the criteria is that I must have personal experience with the program. My goal on this page and on the website as a whole is not one of bias or lack of transparency. The programs the visitor mentions are, quite possibly, wonderful curricula, however, with no personal experience with them, I am not able to give an honest review of them. Alpha Omega Curriculum program for preschoolers is called Horizons. They have a very well-respected package that many Christian families and schools use for their children. Little Lambs Bible Curriculum is another program that is often used in Sunday schools across the country. 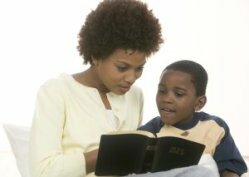 Story Hour Bible Curriculum is another program that is used in christian preschool as well as Sunday schools across the country. God's Family Preschool Curriculum is a stand-alone teacher's guide is designed to be used with preschool-aged students. The introductory materials include notes on the Bible in the Christian School; the series' aims & goals; memory work; resources, and an overview. Sing, Spell, Read and Write Curriculum builds a solid foundation of reading readiness for your little learners! 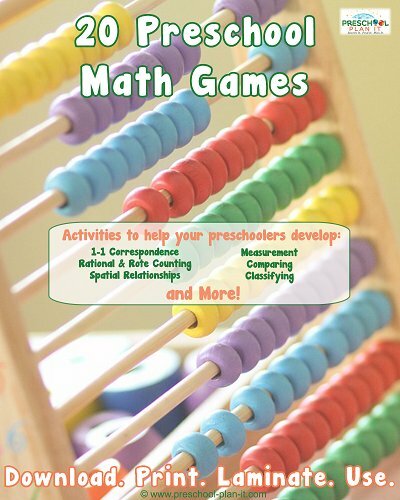 This updated edition of the popular program covers colors, shapes, alphabet letters and sounds, object classification, story sequence, directional concepts, opposites, the seasons, and counting from one to 10. Looking to Put Your Own Christian Preschool Curriculum Together? You may find the free Preschool Bible Lessons from my sister website helpful. Click here or the picture to the left see which Bible Themes are available!